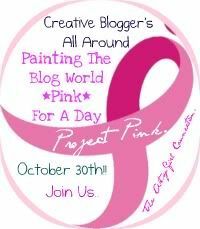 Please join me next Sunday as we paint the blog world pink! Grab a button, spread the word! I look forward to seeing your PINK POST next Sunday! Link up your blog & sign up to go P I N K for a cause on October 30th! !